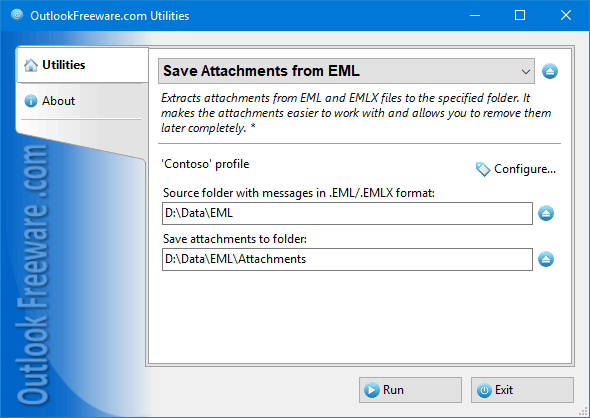 This free utility will save attachments from all EML files in a specific message date range from the selected folder on your disk or network share to the specified location. You can automatically process all subfolders and create the same folder structure for attachment files. It allows you to save or skip attachments of certain types and with specified names. The tool can save embedded Outlook items, inline attachments such as pictures in text.